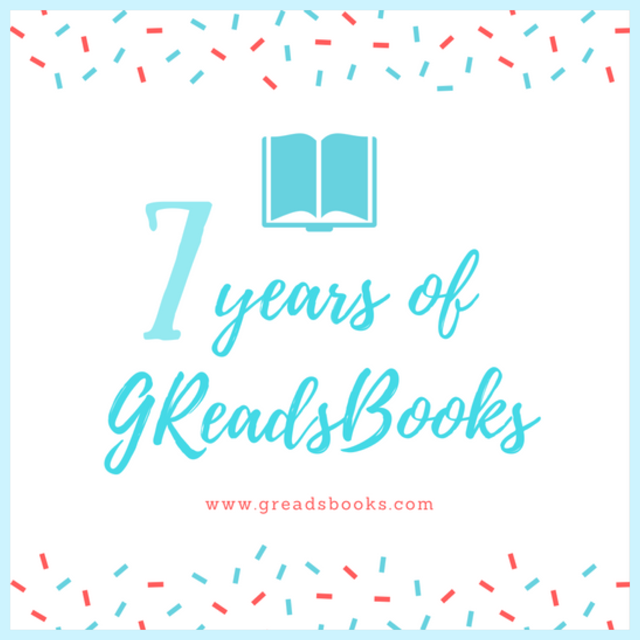 All month long I'm celebrating my 7th year of book blogging with the help of my bookish friends. To learn more about the event, please visit my introduction post I've linked just below. There, you can also enter to win a book by one of the fabulous authors who will be joining me this month to celebrate, as well. Hi everyone! I’m so honored to be a part of Ginger’s blog celebration for seven years of blogging. 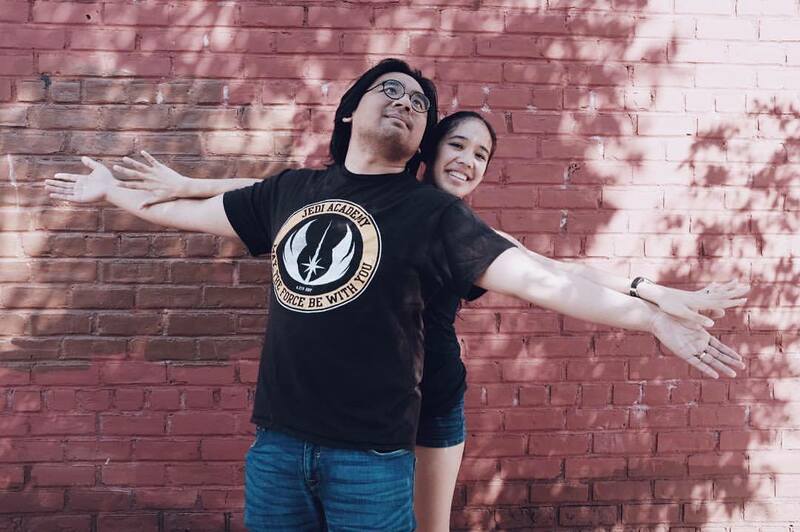 Before anything else, I want to say congratulations on seven years, Ginger, and that it’s really wonderful that this community brought us together years ago! Looking forward to many more to come of course. Okay, on to the post! 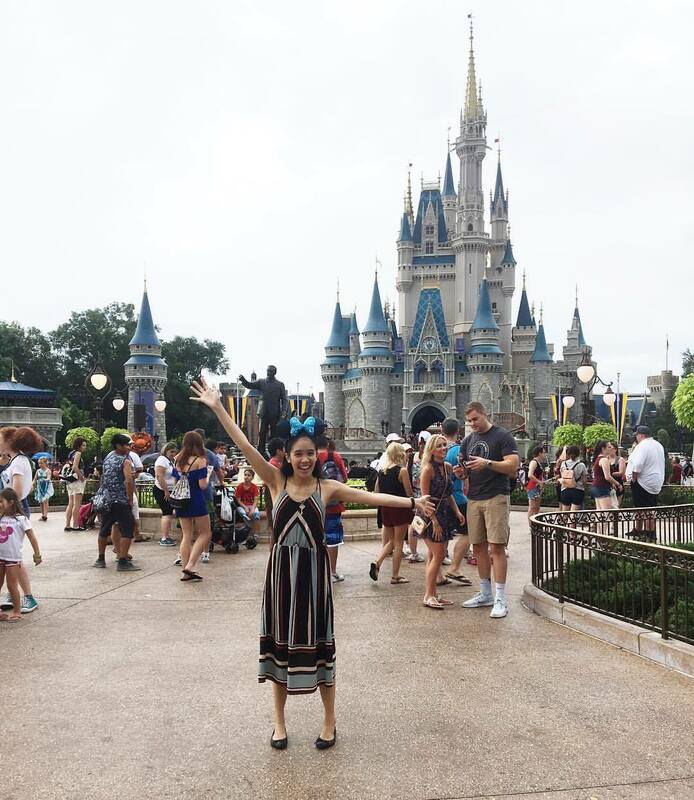 I thought it’d be fun for me to share seven things about me at the start of my book blog, seven things about me that are currently true and seven predictions I have for future me so you could get to know me a little bit better! 1. 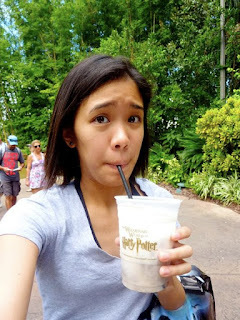 I started the blog as a way to connect with other readers online, as I didn’t have in real life friends who loved books as much as I did. Inspired by The Story Siren and propelled by the way Divergent (I know!) made me feel when I first read it, I took the plunge. 3. I didn’t understand the concept of spoiler warnings. I think this one is self-explanatory. 4. I didn’t have any bookshelves. I was living with family friends at the time, so I only had a bedroom to myself. My books were stacked on my dresser table and my nightstand, and I didn’t own very many at the time so it wasn’t overwhelming at all. 5. I met an author for the very first time in person. 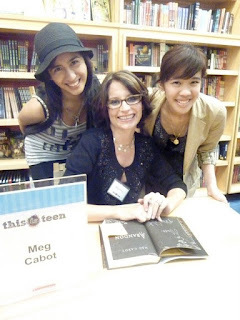 The first time I ever got to meet an author I admired was when I attended an event with Meg Cabot, Maggie Stiefvater and Libba Bray at Scholastic in SoHo. It was so cool, and my best friend went with me as well! 6. I was in a long distance relationship. It was a very difficult thing being in separate countries, and communication was the only way the relationship survived. We went through really terrible downs in our relationship, but somehow managed to eventually beat the odds. 1. I have friends who love books as much as I do but are more than just bookish friends. 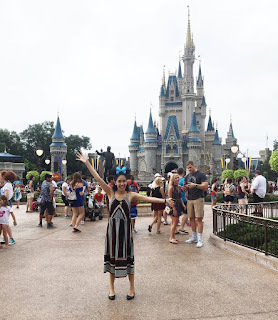 It’s wonderful that I’ve gotten the chance to connect with so many people because of blogging and the Internet! But I’ve definitely found some of my best friends in the whole entire universe, who share my love of books (and favorite reads) but also happen to be folks I can count on when it comes to the real life stuff as well. 2. I’m not just active on the blog, but also active on other social media platforms. I still love blogging and find it the easiest form of online expression to engage in, but I am quite active on Instagram (I’ve been loving trying to take creative photos) and YouTube (which is something I collaborate on with my husband). 3. I’ve met a lot of authors. I’m incredibly lucky to live in New York, which is a big hub for publishing and a relatively common tour stop for many authors. I’ve met majority of the authors that I really want to meet! The only ones I have yet to meet in person, off the top of my head, are Tamora Pierce and Stacey Lee. 4. I have an entire wall of shelves. I’ve come a long, long way from the small stacks I used to have, that’s for sure! I’ve managed to fill a bunch of bookcases up with all the books I own, and the collection keeps on growing. 6. I started writing again. I wrote an awful lot (of fan fiction) when I was in high school, tapering off when I got to college. I hadn’t started any stories in years… until 2012. That was the year everything changed for me, and I’ll be forever grateful that I started wanting to tell stories again. 7. I’m married! Remember the long distance relationship I mentioned? We ended up getting engaged in 2012, married in 2013 and Macky was finally able to join me in New York in 2014. We recently celebrated our four year wedding anniversary too. 1. A shift in focus. I used to do a bigger variety of posts, but that’s tapered off in the last two years. I’d like to ideally be well rounded in terms of content, since there are a lot of things that I love apart from books and would be excited to talk about. 2. A skill upgrade. I’m looking into ways to upgrade my skills in photography, video editing and handlettering at the moment. I like learning new things (especially with friends), especially when they’re useful in many aspects of life (and not just the blog or my social media accounts). 3. A steady growth. As a person, as a writer, as a blogger. I’m constantly striving towards improvement, and I’d like to be able to say I’ve grown (again) in a few years. 4. A finished original WIP (again). I’ve only ever done this once as of right now, and I haven’t been able to do it again. I’ve started and stopped many a WIP. I’ve also not started them at all, though I always jot down the ideas I have. It’s been really rough to try and get the drive to write them (especially since I’m constantly trying to improve my world-building skills at the moment), but I’m hoping that I can make it happen… and soon. 5. A home. I would really like to be able to actually own property. It would be pretty damn cool to have a space that really is our own, and a place to build a home for our little family. 7. A baby (or two). While it’s not in our immediate future plans, Macky & I are very much planning to have children! We both love kids, and we both always aspired to have more than one, so that’s definitely something I’m hoping is true for our future. I hope you enjoyed getting to know me a little bit better! It was really fun to take a look at how far I’ve come since I started my blog, and it’ll be real interesting to see if any of my predictions actually happen in the years to come. 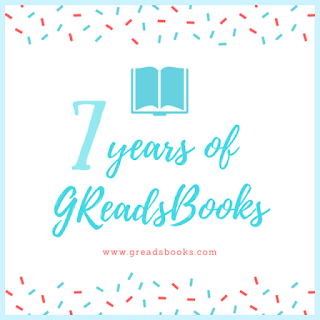 Again, happy seven years of blogging, Ginger, and thank you for having me!